Photo 063. Bismarck in Kiel. The Bismarck moored to the pier in Scheerhafen, Kiel on 14-16 March 1941. 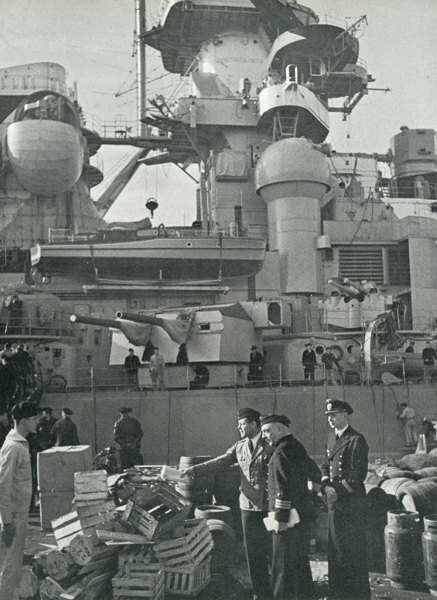 Bismarck's Administrative Officer, Korvettenkapitän (V) Rudolf Hartkopf (second from the right), and his assistant Oberleutnant (V) Günther Tischendorf (far right) supervise the loading of supplies.